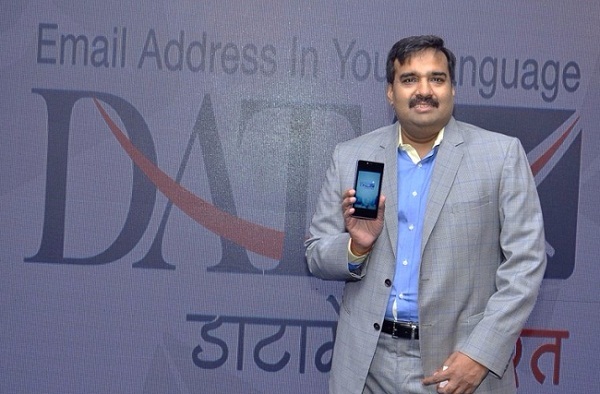 Jaipur : Recently announced Indian linguistic email address service solution provider DataMail has made a remakable achievement of bringing a revolutionary change in the life of web users and smartphone users in Russia. Indian Tech Innovator, Dr. Ajay Data, Founder and CEO of Data XGen has partnered with a Russian domain registry company and formed a joint venture (JV) called ПОЧТА.РУС (POST.RUS). The announcement of this JV with Webnames Limited (Russian) and Data XGen Technologies (Indian) company was made at a press conference organised in Moscow today. DataMail.Bharat created history when it was launched recently in India to provide email address services in 8 Indian languages. This technology solution was what Web names Limited of Russia was looking for since the past 13 years as they were trying to innovate the ‘Russian Email Address’ to replace English with Russian. With this joint venture, ПОЧТА.РУС (POST.RUS), over 140 million Russians will be empowered to use the ‘Made in India’ technology for Russian language email addresses on web and smartphones for free. The launch of free Russsian language email address service, ПОЧТА.РУС LLC (POST.RUS), in Moscow was graced by the presence of Internet Ombudsman of the Russian Federation - Dmitri Marinichev; ICANN Vice President for Eastern Europe and Central Asia - Mikhail Yakushev; Director of the Association of Internet of Things - Andrei V. Kolesnikov; Director REG.RU - Koroljuk Alexei Nikolayevich; CEO of Data Xgen Technologies - Dr. Ajay Data (India), Director Rusnames Ltd - Sozonov Alexei Alexandrovich; and Director of Webnames Limited - Sharikov Sergey Nikolaevich.